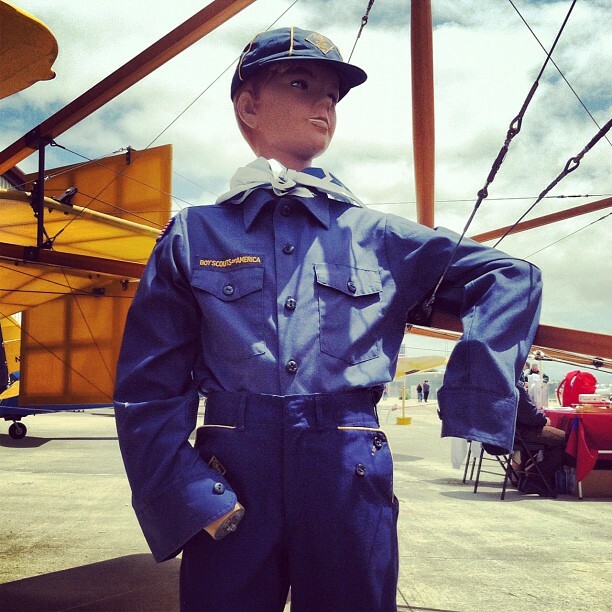 Because Friday is the day I blog without trying very hard, here are two photos of handless boy mannequins that I spotted at an airshow. 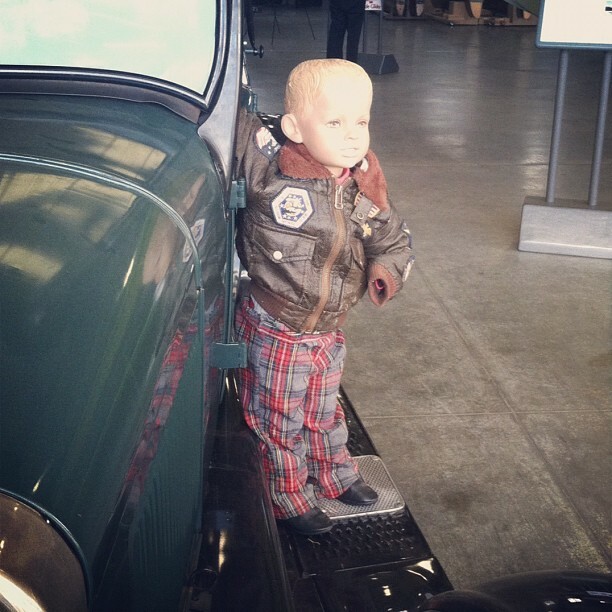 They — along with this posting — were easily the most interesting parts of the airshow. Why were they handless, you ask? I can only imagine that it stemmed from the presence of antique airplanes and a desire to teach children about propeller safety.